November 2, 2018 | Filed under: Current Articles,Featured | Posted by: Alex A. 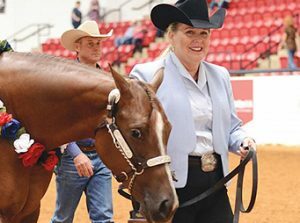 For some, showing horses is about legacy. The experience derives meaning from competing astride horses that they bred, raised, and trained themselves. Then, there are those who have a passion for a single event and diligently pursue excellence in a specialized field. For others, showing horses is all about facilitating talent in a wide array of disciplines. Whether it’s Western Pleasure or Halter, these horsemen are drawn to superb bloodlines, sterling conformation, and beautiful movement. They want to pursue it all.